This post is sponsored by Clorox. One of my New Year’s resolutions is to simplify. I tend to go overboard, especially when it comes to buying products. From face washes to conditioners to clothes to cleaning products, I can be a bit of a hoarder. I like trying the latest and greatest, and then I end up with cabinets full of things I don’t even use. In the coming year, I’m going to try to really pare down. I’ve seen a lot of people try to do a capsule wardrobe in an effort to simplify and reduce. (My friend Sarah James is a pro at this and a big inspiration). Last year, I had a professional come and help me clean out my closet, and it has been incredibly freeing to have less stuff in my closet. But I had never really seen a “capsule” approach to cleaning products. And truth be told, I probably needed one. Enter Clorox Bleach, who I have been partnered with this year. 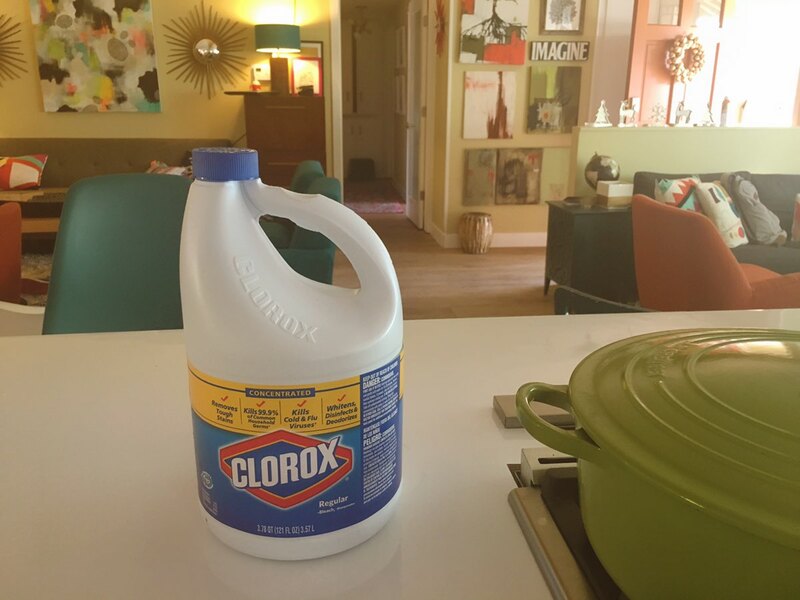 They challenged me to try a 2- day “bleach-only” cleaning regimen. For 21 days, they asked me to use simple bleach to clean my toilet, bath tub, sink, countertops, cutting boards, and appliances. Did you know that bleach can clean all of those services? Truth be told, I didn’t. At first, I felt a little intimidated by this task. 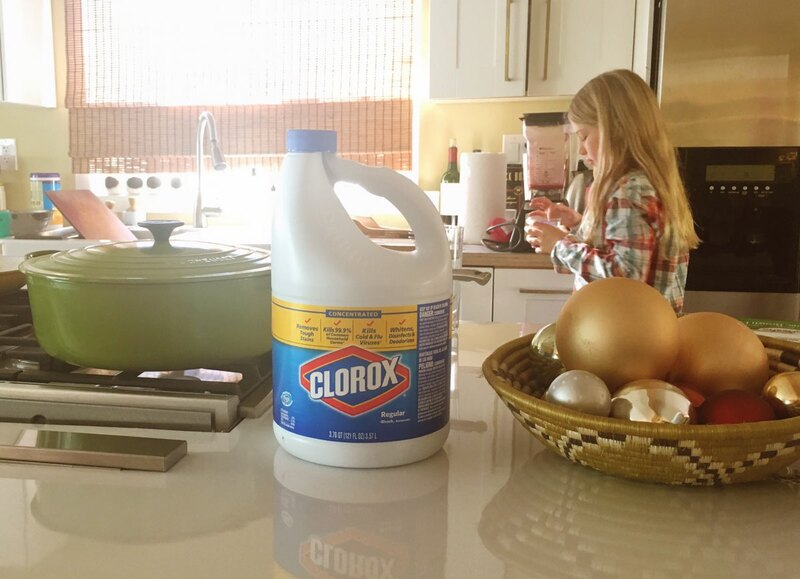 I am a huge fan of Clorox products, but I tend to reach for the Disinfecting Wipes rather than bleach. Bleach was something I tended to reserve for the laundry room. I was curious to see how it would fare as an everyday cleaner. Once I got the hang of it, I found bleach to be a really simple and effective way to clean the kitchen. Using a tip from one of their videos, I feel the sink with water and pour a little bleach in, so I don’t have to dirty a bowl. Then, it’s just a simple sponge down of all of the surfaces with bleach, and a quick rinse five minutes later. I love that this solution can be used to wipe down the counters to ensure they are totally disinfected from food germs. Especially since I have four budding cooks who aren’t always the best at cleaning up after themselves. It really did simplify my cleaning routine. A bottle of bleach goes a long way, and takes up a lot less space under the sink! Wanna try this simplified cleaning routine? Check out Clorox’s how-to videos. If you wipe down a counter with bleach and then one of your kids makes a sandwich directly on the counter, is that safe?